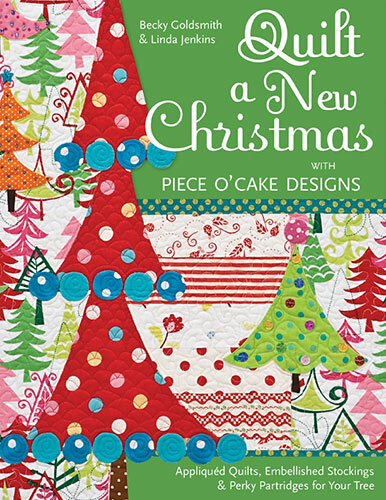 These quilts are some of the projects from our book, Quilt A New Christmas, which is available as an eBook. Click here to find it at pieceocake.com. A Treat Before Takeoff from the book Quilt A New Christmas by Becky Goldsmith & Linda Jenkins. Quilt by Linda Jenkins, quilted by Mary Covey. Christmas In The Park from the book Quilt A New Christmas by Becky Goldsmith & Linda Jenkins. Quilt by Linda Jenkins, quilted by Mary Covey. Caribbean Christmas from the book Quilt A New Christmas by Becky Goldsmith & Linda Jenkins. Quilt by Linda Jenkins. All Wonderful Red And Green Quilt from the book Quilt A New Christmas by Becky Goldsmith & Linda Jenkins. Quilt by Linda Jenkins, quilted by Mary Covey. Circular Momentum from the book Quilt A New Christmas by Becky Goldsmith & Linda Jenkins. Quilt by Becky Goldsmith. 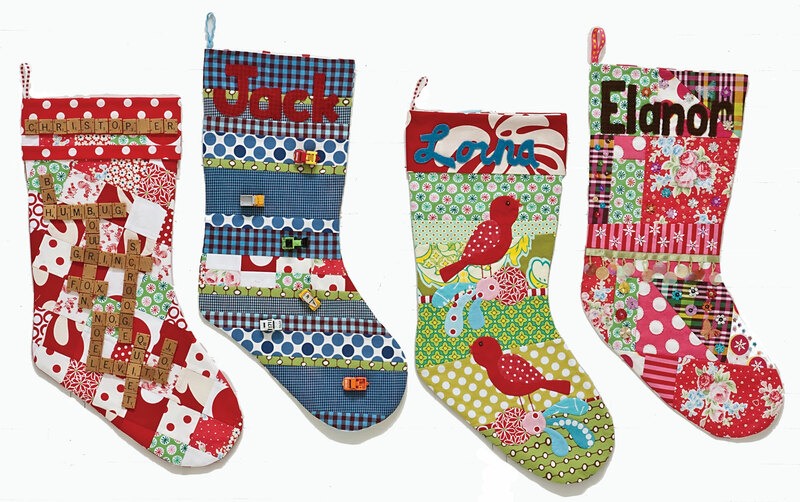 Stockings from the book Quilt A New Christmas by Becky Goldsmith & Linda Jenkins. Made by Becky Goldsmith. The center background is a print with lots of trees. There are 12 trees appliquéd on the center but you could alter that to suit yourself.